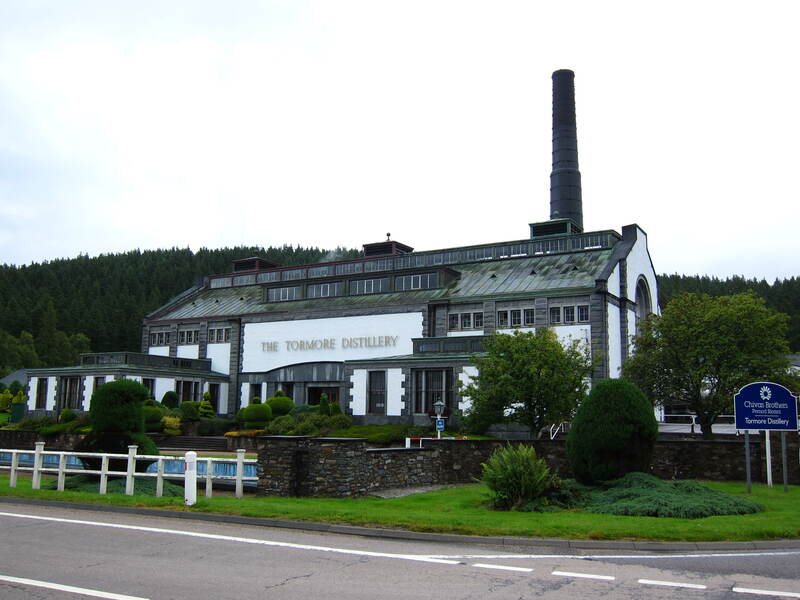 Here’s the distillery in August 2014, it is BIG, and also conveniently located on the main road between Grantown-on-Spey and Aberlour. Be prepared to be surprised by its size as it suddenly pops out from behind the trees as you take the corner. It is as if the architect Sir Albert Richardson intentionally alluded to the illicit history of the distiller in placing his site, and the future of the industry in designing his facade. Love has clearly been lavished on this site, note the topiaries and pool that was meant to serve as a curling ring in winter. Also the bell clock is said to play four different Scottish melodies at the quarter hour, but I didn’t wait to be serenaded – it was cold and there is no visitor centre. 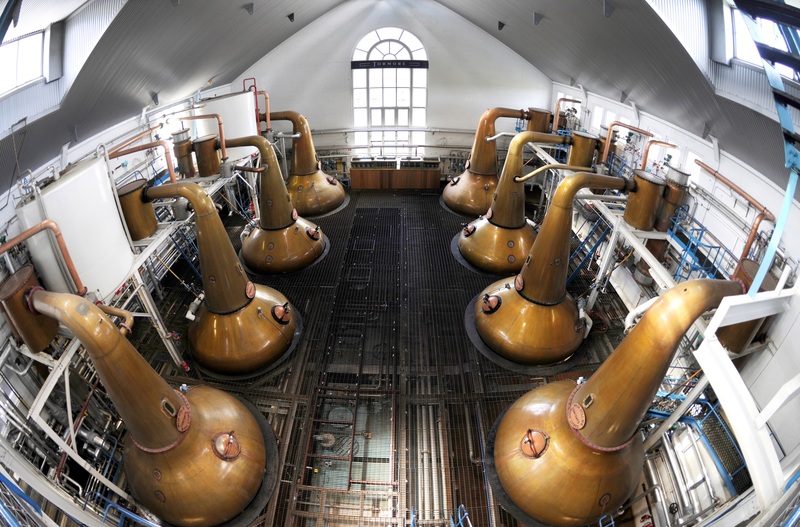 This picture of the still room shows fairly regular stills with straight lyne arms but each is equipped with a large purifier, which together with the quick mashing and short ferments in stainless steel mash tun and washbacks suggests that the malt distilled here was designed to be on the light and malty end of the spectrum – perfect for blending. Despite this I was surprised to learn that the malt used here is actually slightly peated, though Dave Broom (‘The World Atlas of Whisky’) states otherwise. Nose: Ouch powerfully spirity. A padded punch of american oak scents rise out of the glass, so the usual butterscotch, vanilla, big white pepper and also a fizzy citrus effervescence. Needs water. OK, still hugely fresh and vibrant despite its 23 years. Fizzy top notes – citrus blossoms, new pinewood, bright vanilla, candied lime peel, grated ginger. Very ‘green’ with sour green apple peelings and unripe kiwi. This has got to be a second refill bourbon barrel. Palette: Chamomile tea, fairly mouth coating. Again big white pepper and menthol! Rather dry with dusty malt bins and bitter with swiss chard. Top notes of grapefruit zest and still very green and ‘unsprouted’ around the tongue. Finish: Dry, malty, ginger powder. Light bitter-zesty and dry whisky somewhat tempered by the attentions of american oak, very decent for its type, and manages to be both modern and un-engineered. This entry was posted on February 5, 2015 by Whiskyrific in Tormore and tagged Tormore.